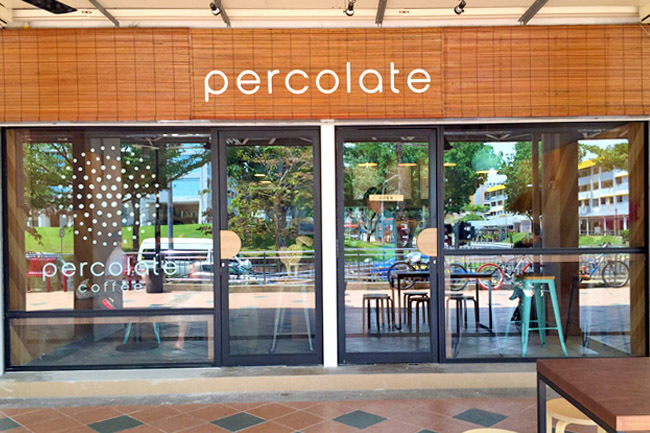 [Updated May 2015] Percolate at Bedok North just got bigger, and hipper. 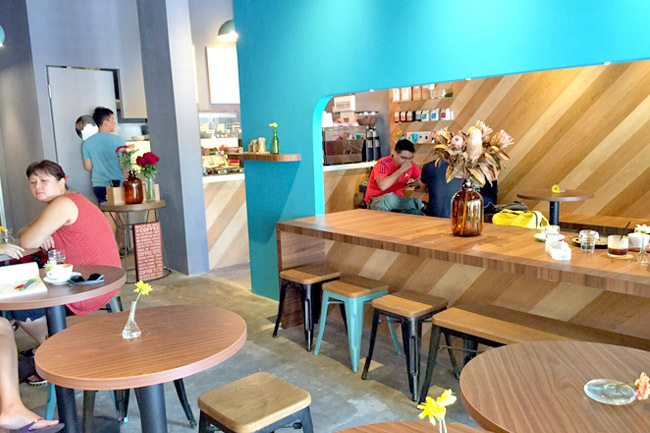 They took over their neighbour’s shop and spots a turquoise-green and woody interior. Food includes Banana Date Loaf ($6.50), Organic Granola ($7), Croissants ($3.50-$4.50) and Sandwiches ($7-$10). The Tom Yum Grilled Chicken Ciabatta is calling out to me. Prices remain affordable. Yeah. 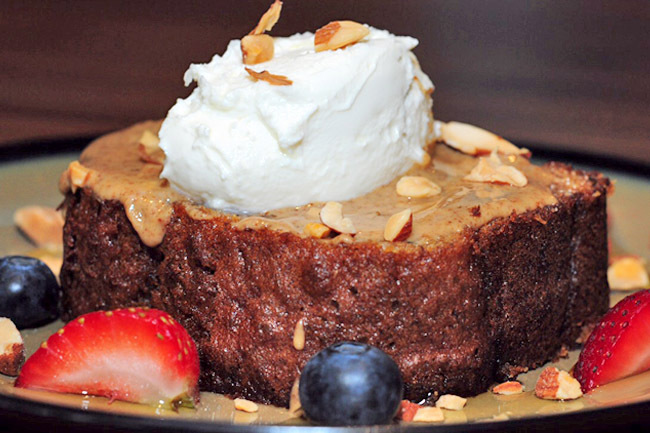 [Original Entry] A café at Blk 136 Bedok North Ave 3. Wow. 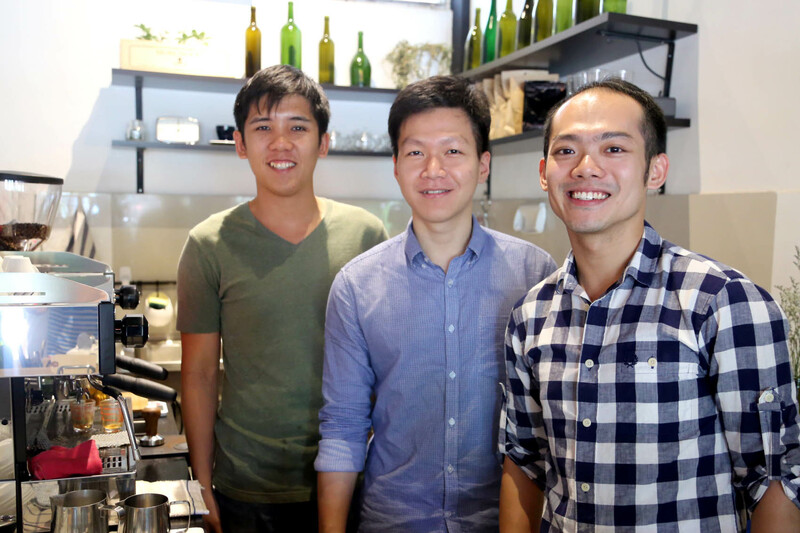 Third wave cafes are opening everywhere in Singapore, and this makes good news for the easties. 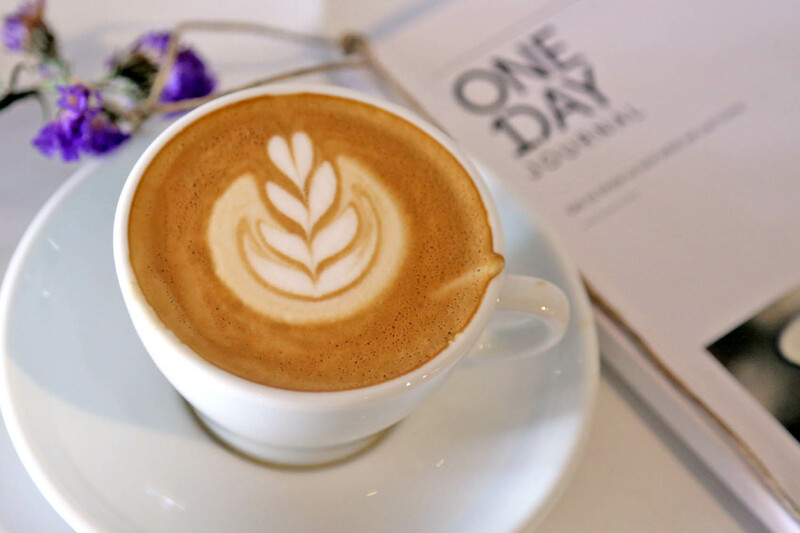 Our HDB estates are becoming more hip, and imagine aromatic coffee just a few blocks away. 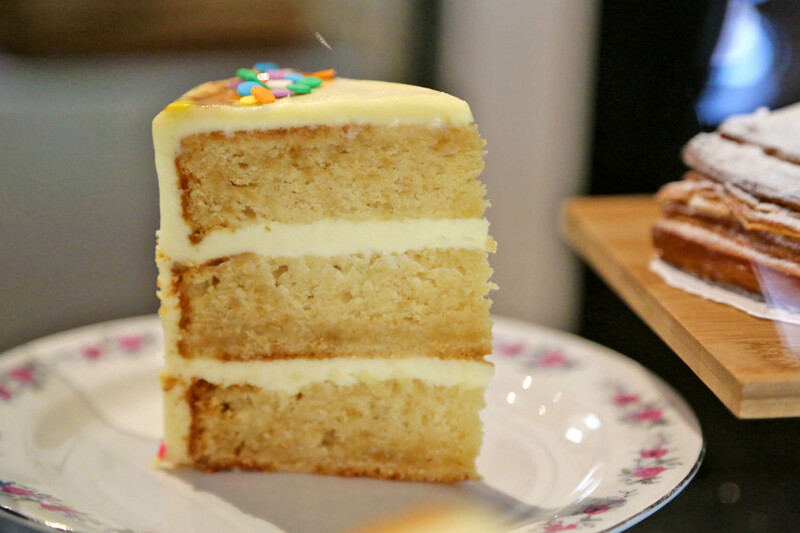 Coffee is sourced from Papa Palheta (Terra Firma) and Nylo Coffee Roasters (Four Chairs Seasonal Espresso), tea from Amuse Projects, cakes from Cakestand and breads from B.A.O. Prices are friendly, and service is friendlier. A 5-oz white sets me back by $4.50, the benefit of being set in a lower-rental neighbourhood. Percolate uses Papa Pahelta Terra Firma. I had my initial reservations because a few cafes didn’t exactly do the beans justice. This cup did not let me down – balanced yet vibrant bend, with a slight nutty flavour and bittersweet chocolate finish. I kind of liked the size, sometimes less is more. 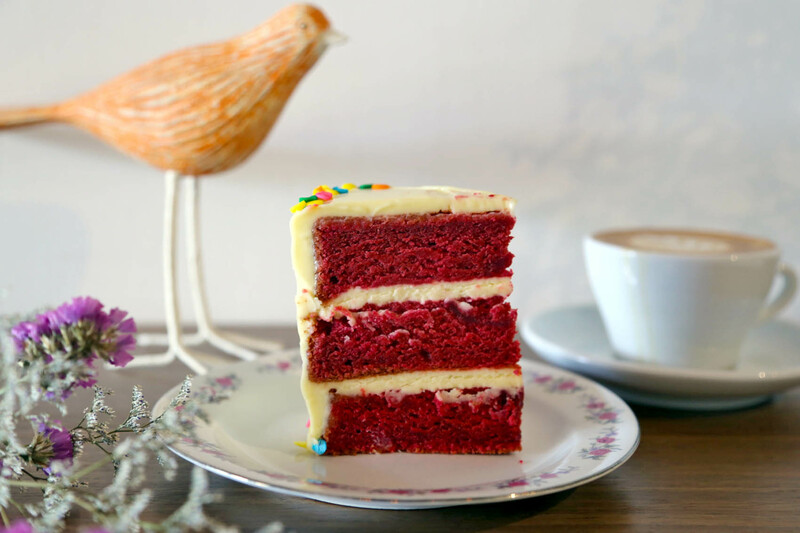 I loved Cakestand’s Red Velvet. Finally one of those few red velvets that does not taste artificial, and interestingly taste fruity and feels slightly wet. 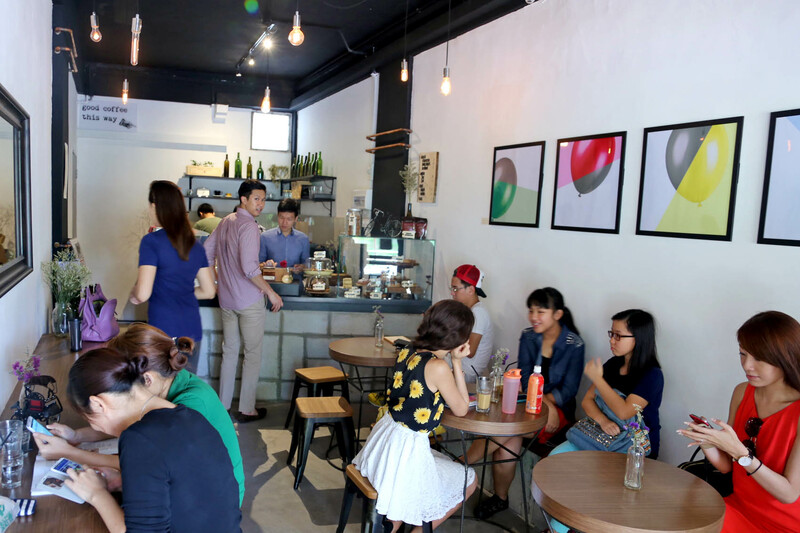 Percolate feels like an honest, unpretentious, cosy café, and certainly sets to bring more life to the Bedok neighbourhood.